Insight: We understand the realities of operating in companies both large and small. Our engagements begin with a deep dive into your business to understand your current state, future goals and how new talent will figure into that journey. 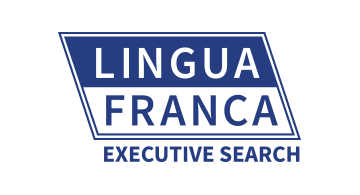 Lingua Franca helps you to craft roles that will allow new talent to have the maximum impact. Connections: We draw on an exclusive candidate network built over the last 20+ years to identify exceptionally qualified people to fill these positions. We can speak to candidates with a refreshing level of knowledge about what the roles truly entail because we have direct experience in the industry. This shared experience and common language enables us to engage passive candidates to take the next step forward. Expertise: We have a unique perspective on how the art and science of strategy and analytics blend together to drive value. This expertise allows us to differentiate and balance your needs in a role between judgment, experience, and raw quantitative horsepower. We develop custom interviews for every role that can separate candidates that may appear similar, but possess subtle differences that can mean the difference between an ideal fit and a bad hire.